Dr Nicola Chelotti, Lecturer within the Institute for Diplomacy and International Governance, has written a blog for us on some of the questions both the UK and the EU face over the Irish border and their future relationship. Since the UK and the European Commission reached an agreement in December 2017, the major divergences between the UK and the EU have become increasingly clearer. The major stumbling blocks for reaching an agreement revolve around: a) a legally operational backstop for the border between Northern Ireland and the Republic of Ireland; b) the nature of the future relationship and the UK’s access to the EU’s single market. With the Salzburg meeting among the 28 Heads of State/Government of the European Union (EU) ending in stalemate and acrimony, it is perhaps time to ask that the two players be more transparent about their real positions on these two issues. This will allow us to reflect on the consequences of these positions on the current state and future of the Brexit negotiations. Here I set out the leading questions both the UK and the EU face over the Irish border and their future relationship. 1)UK and the Irish border. Before and after the Salzburg meeting, Theresa May confirmed that she will not accept custom checks in the Irish sea between Northern Ireland, as this will de facto split the United Kingdom and infringe on its unity. Now, unless the entire UK stays in the Single Market and Customs Union (which is not what the Chequers proposals amount to), unless some bespoke technological solutions for an invisible or smart border are found, the UK government appears relatively relaxed on the possibility of establishing a hard border between Northern Ireland and the Republic. There are of course many issues in the Brexit negotiations, and all the players have to find some form of balance over them. The question then for the UK is how high does avoiding a hard border rank among the UK’s negotiating priorities? It might be that the final solution on the border will still be some mixed form of the UK collecting the tariffs on behalf of the EU (as suggested by the UK) or the reduction in number, simplification and place diversification of checks (as suggested by the EU). 2)UK and future relationship. The UK has been trying since the beginning of the negotiations to find a middle ground between a more traditional trade agreement with the EU (which is considered economically not advantageous enough) and substantial access to the EU’s Single Market (whose continued participation in full would violate UK’s own redlines). The EU has consistently denied that such middle ground exists, insisting that the two models available to the UK are either Canada or Norway. It is not surprising then that the Chequers plan – which embodies the principles behind that middle ground – has been interpreted very differently by the two sides. While the EU has welcomed it as the very first step in the direction of constructive talks, the UK government has considered it the final offer and the maximum that it can propose. In the event that the idea of such middle ground does not fly, what is the UK’s preferred option? Canada or Norway? If the UK’s redlines seem to suggest the former, the recent declarations on the subject by Theresa May (that a no deal is better than a Canada-style deal) further complicates the picture. 3)EU and Irish border. One of the negotiation priorities (if not redlines) of the EU (backed by the Republic of Ireland) is to avoid a hard border on the island of Ireland. The other EU member states, and Michel Barnier in particular, have often repeated that agreeing on a backstop was essential to conclude the negotiations. The recurrent refrain is, “with no backstop there will be no agreement”. In other words, if the UK does not consent on an acceptable (by the EU) solution for the backstop, there will be no deal and no transition. As a result, Brexit on the 30th March 2019 would be of the hardest kind. If this might be an attempt to extract the most out of the UK in this last phase of the negotiations (with the prospect of a cliff-edge scenario looming on the horizon), this position leaves ample space for questions. The bottom line is that if there is no deal, a hard border will (certainly) be established in Northern Ireland. As a result, if a hard border is destined to be created, isn’t it better for both the EU and Ireland that it comes with at least a (Canada-like) trade agreement? The suspicion might arise that the “no backstop – no deal” is just a hard-negotiating tactic. 4)EU and future relationship. 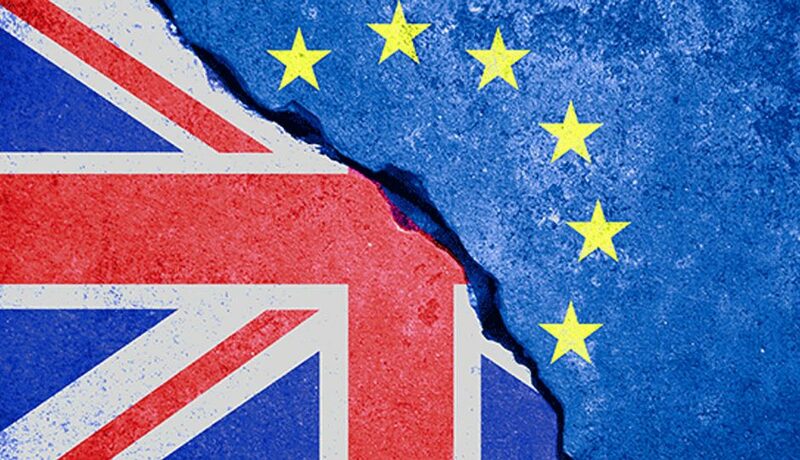 The EU has been vocal and clear since the beginning of the negotiations that the Brexit negotiations had to respect the integrity of the Single Market and of the EU’s four freedoms. On a general level, the relationships that the EU has with third countries are indeed based on a balance between benefits and obligations. It is also true, however, that, within the EU rules-based system, the templates of those relationships often differ. While confirming that a middle ground between Canada and Norway is not possible, the questions could be: what is the EU ready to offer to the UK (a long-term partner, a security partner, a powerful and resourceful country, etc.) that might colour either the Canada or Norway option in ways that are more palatable to UK policy-makers? It might be that the EU has already discussed and prepared some of these compromises, but that the negotiations have not progressed enough to reach the phase where they can be openly discussed. Thank you Dr Nicola Chelotti for sharing your blog with us. Applications for 2019 entry are now open! Have a look at our Institute for Diplomacy and International Governance page for more information about our master’s programmes and PhD opportunities.